Sometimes a small project has some of the largest impact on a house. 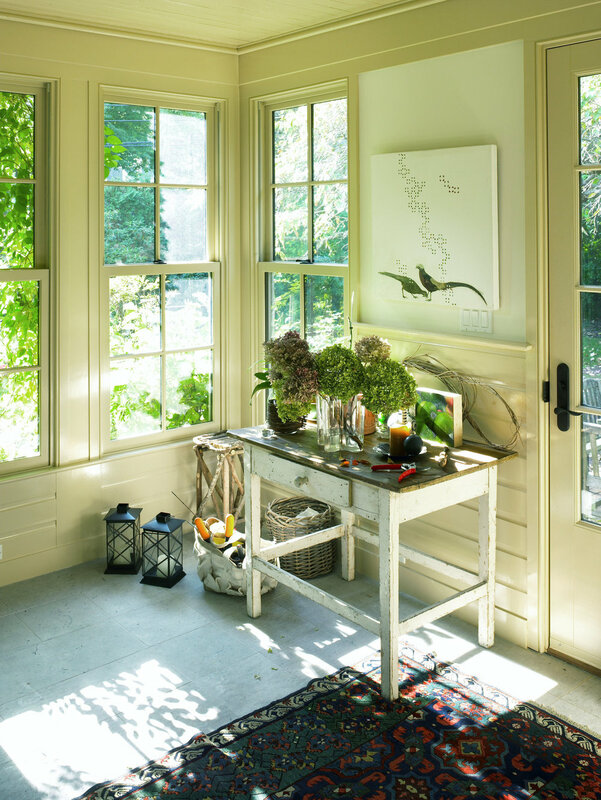 This sunroom renovation is a great example of marrying the interiors with the outside. The owner was an avid gardener and wanted an interior space that allowed them to enjoy their yard year round, even during a New England snowstorm. By wrapping the space with windows and then adding a very modest metal arbor to the exterior a series of layers were created that made a calm progression of spaces as you moved from the private interior to the calming surrounding garden. This project is a great example that even when times are tough some good can come out of disaster. This project was started because the neighboring house burned down and damaged this house. The whole house needed to be refurbished. This opportunity allowed us to reorganize circulation and enlarge the kitchen and bring in some natural light to the once dark rooms. 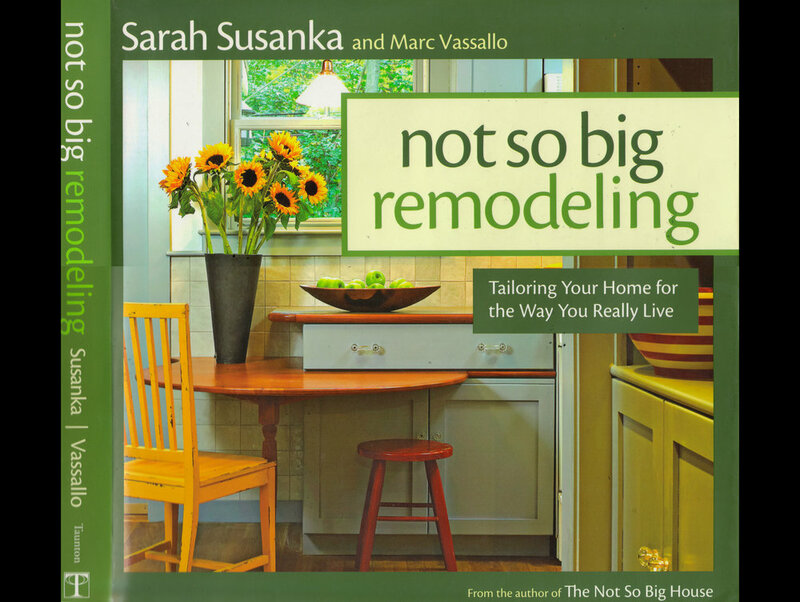 This project was chosen to be in the publication "Not so big Renovation" by Sara Suzanka. Small does not need to mean you need to suffer quality of space.